Julie Anne San Jose chopped off a large chunk of her tresses in November 2018. Her brunette wavy strands and wispy fringe was a far cry from her previous look, which was long and blonde. Since debuting her shortest haircut yet, her mane has grown longer. Now, she has a shoulder-length lob! Her curled-up 'do is proof that gals with curly hair can get a lob, too! To achieve this look, you just need a light layer of serum, curl-defining cream, or hair oil to fight frizz and define the waves. While we're definitely saving this as one of our hair inspirations for 2019, here's a ~*plot twist*~ for you: Julie Anne's hair isn't actually this long yet! Her pretty mane was the work of carefully-placed and styled hair extensions—c/o her hairstylist, Rhoy Cervantes—giving the illusion that her tresses are already that long. In reality, her bob is only starting to *graze* her shoulders. 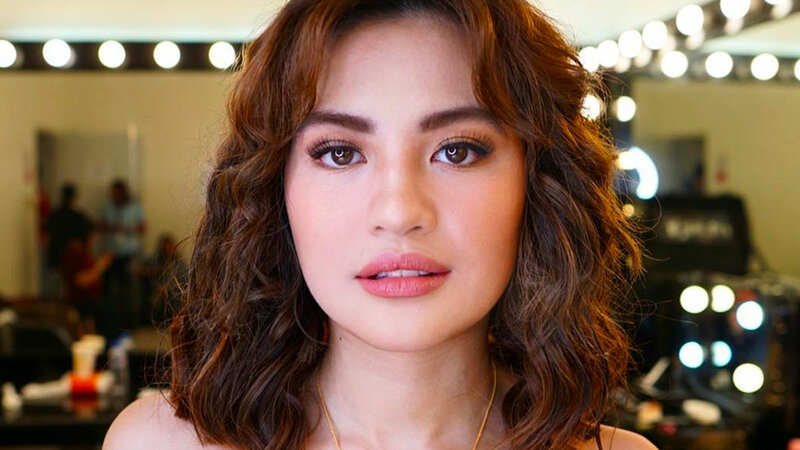 If you're currently growing out your short hair and you're into ~experimenting~ with different hairstyles (like Julie Anne), the key is to use the correct size of hair tools to style your hair. This will ensure you're not left with huge waves and curls that can overwhelm your features and look awks with your hair length. But, the most important thing you should remember is to use a heat protectant spray or serum before heat-styling your locks!